Oh I rush and rush until life’s no fun. And there ain’t no room for someone in second place. Do the lyrics of this 90’s Alabama song ring true for your life? Are you constantly saying that you wish you had more time or that there just aren’t enough hours in the day? If this is you, please read on. First of all, you are not alone. As a mother of four active kids, I too, have lived many years in the hustle and bustle of constant busyness and have only recently made it a top priority to end the vicious out-of-control state of mind that a lifestyle of being perpetually busy brings. I used to believe that idle time was wasted time. I have learned that this way of thinking couldn’t be farther from the truth. If at the end of the day you feel like you have given, poured out, and served until you have nothing left to give, then that is a sure sign that you aren’t spending enough time getting filled. 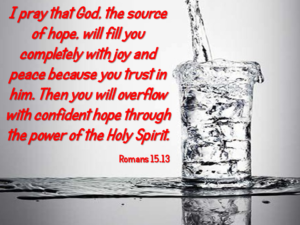 Even if you are working for God, you will ultimately feel sapped if you aren’t actively seeking His presence as well. We should be spending time getting so stocked – overstocked actually – that we can continually give to others from our overflow. Isn’t that what the Bible promises in Romans 15:13? The problem is that we are in a constant struggle to move quickly and achieve more, faster, always looking ahead towards the future and not being content with where we are today. And the result of living this way is that we will miss out on the lessons that God has for us to learn along the way. The lessons that we lose are necessary for us to gain the wisdom and knowledge that God needs us to have before we can ever hope to reach that “next level” in our careers, our families, our ministries, or our personal growth. 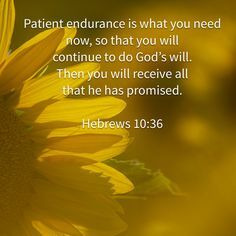 Only through contentment with “the now” can we build patient endurance, which will enable us to learn and grow in the areas He wants us to so that we can become who He wants us to be. And where do this contentment and patience and endurance come from? You guessed it, from spending time soaking in the presence of the Lord. 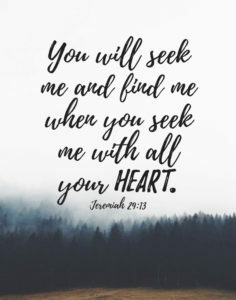 Here’s the bottom-line hard truth: If you are too busy to carve out time seeking the Lord, then your priorities are not where they should be and the contentment and fulfillment that you so crave will continually evade you. Be encouraged though, for on the other side of this is the promise: the more time you have with God, the more you will naturally crave. I can attest to this. What started out as a discipline that I had to very deliberately make time for has become a part of my day that I look forward to. It is no longer a sacrifice to make this time to be with my Father, and it has even become easier for me to experience intimacy with Him throughout my day, not just during my designated “quiet time.” I have learned that idle time is not wasted time. I now view those rare, unstructured moments as treasured opportunities for me to bring my awareness to my Father Who is with me always and lift up a prayer of gratitude or just simply to acknowledge that He is there.